As winter passes by, we would like to share with you one more winter-inspired series as a wrap up of the season. “Vanilla Dream” from Jennifer Squires is a perfect fit. A lovely reminder of the beauty of black and white photography. 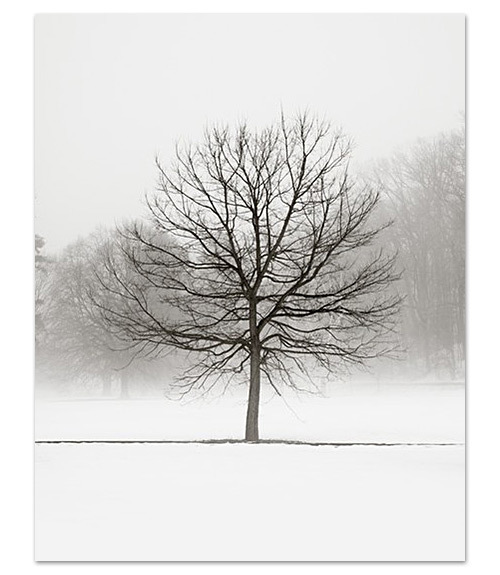 Jennifer took this photo during a February thaw this year; capturing a low lying blanket of fog that perfectly sets off the stark beauty of the bare tree. 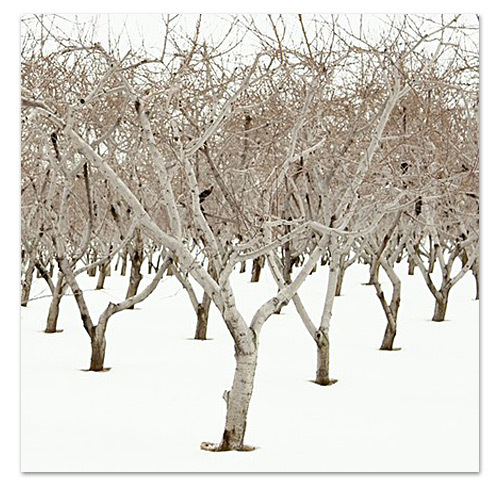 Another of Jennifer's winter scenes, "Latent Beauty" was shot on a recent trip to one of Canada's wine regions, Niagara-On-The-Lake. These images are available for sale via Squire’s online store and more of her work can be viewed at www.jennifersquires.ca.